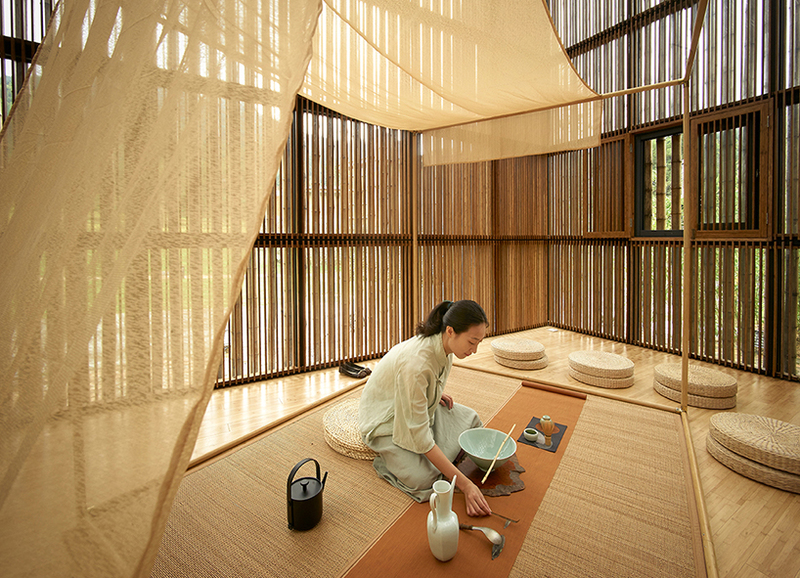 anna heringer is the lead architect of her own firm based in laufen, germany. 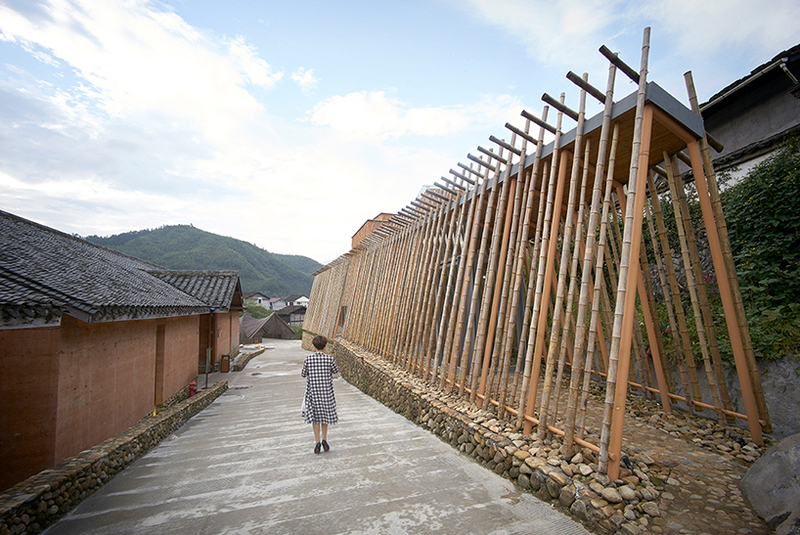 she is a proponent of sustainable architecture, with a number of notable buildings including the meti handmade school in rudrapur, bamboo hostels in china and a kindergarten for the permaculture community poret in zimbabwe. 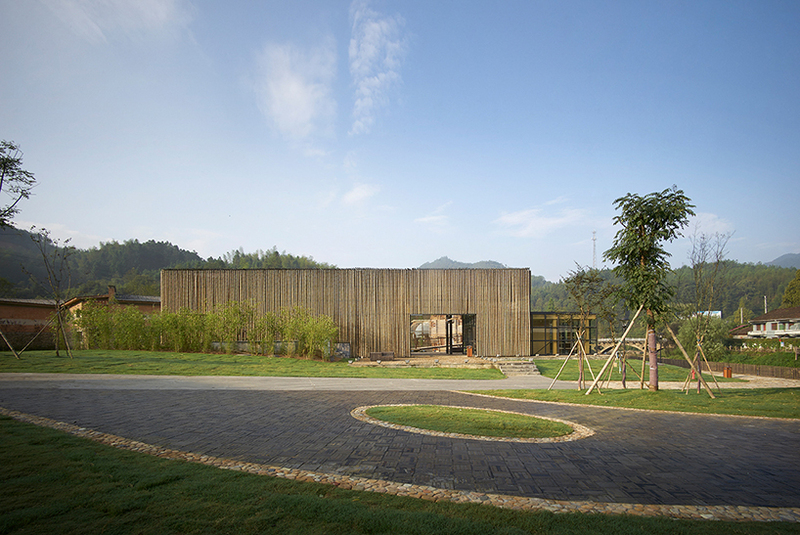 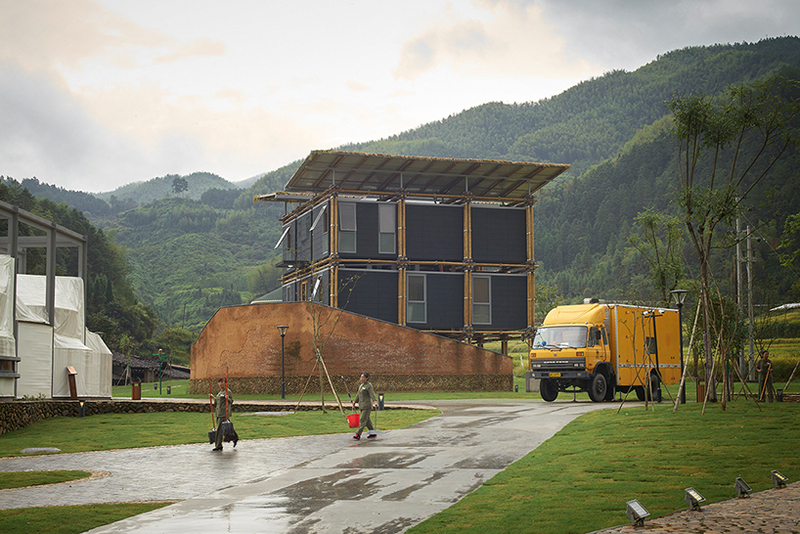 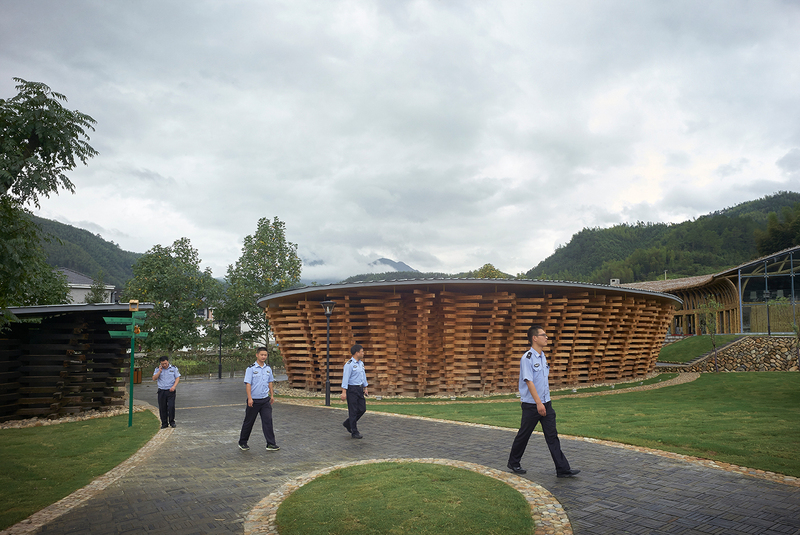 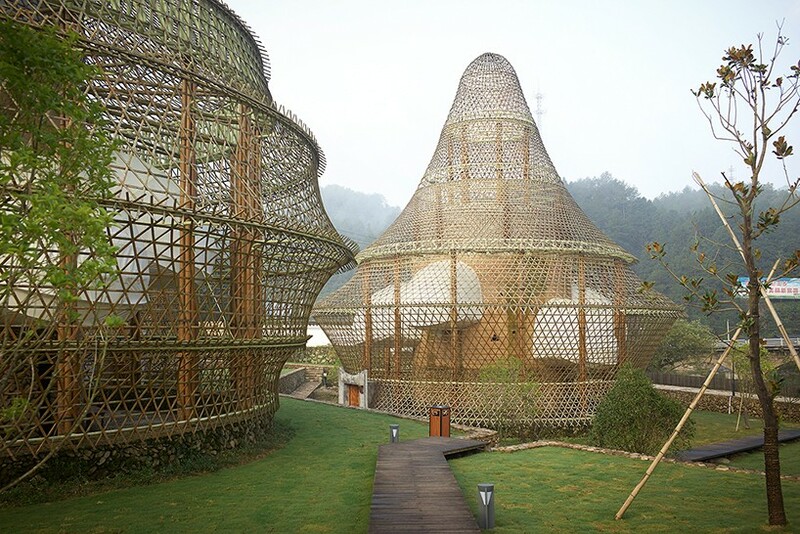 the inaugural international bamboo architecture biennale took place in 2016 in the village of baoxi — an area south of shanghai, china still untainted by urban sprawl. 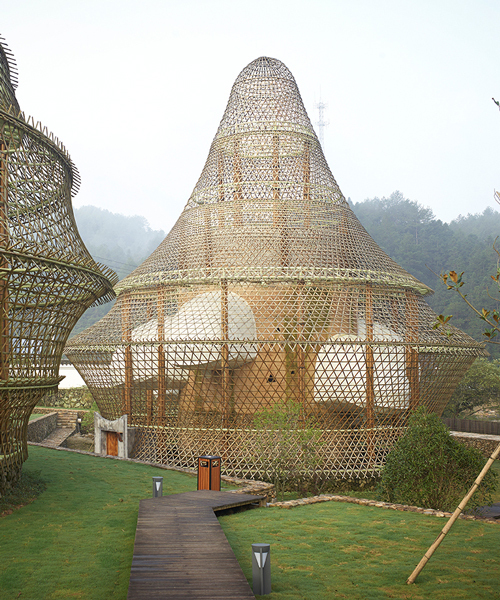 photographed by julien lanoo in its first edition, the event is set against the backdrop of undulating mountains, which provided an appropriate setting for the 12 distinctive bamboo structures erected in response to the local environment. 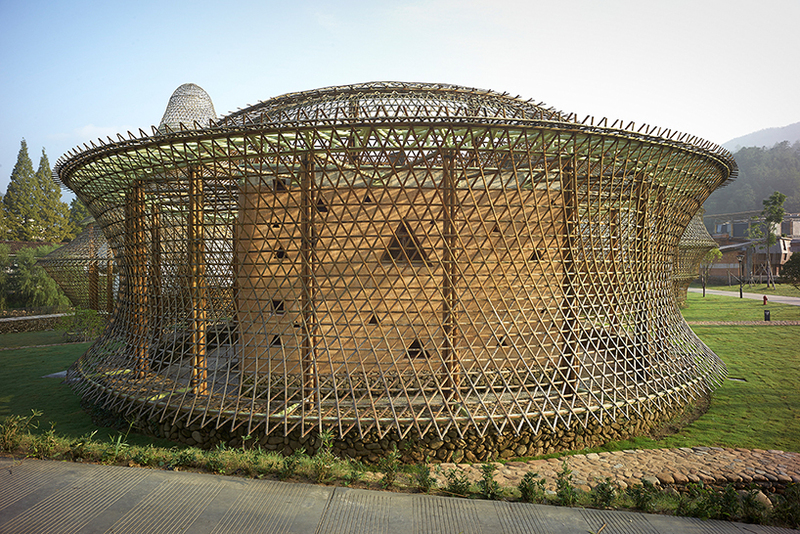 12 architects — including kengo kuma, anna heringer, simon velez, vo trong nghia, and keisuke maeda (UID architects) — were invited to approach the task of demonstrating bamboo construction. 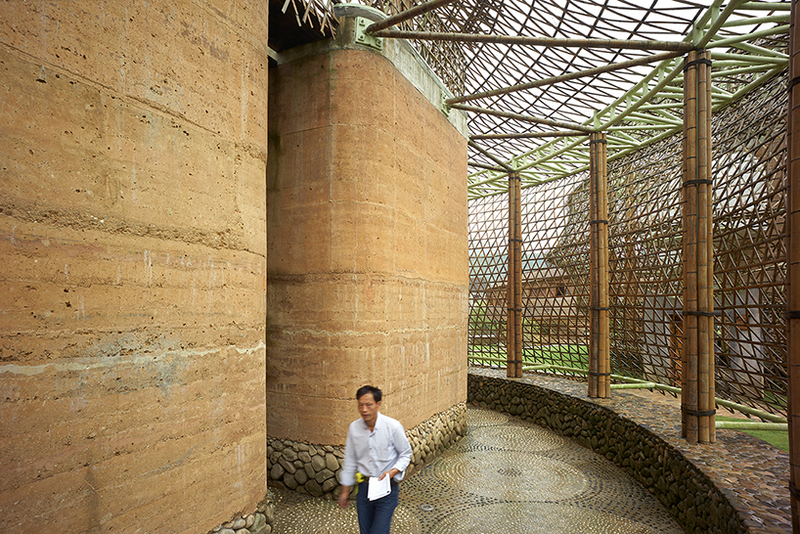 in turn, these structures explored new forms of contemporary and sustainable design using the natural and abundant material to create a place with a profound cultural value. 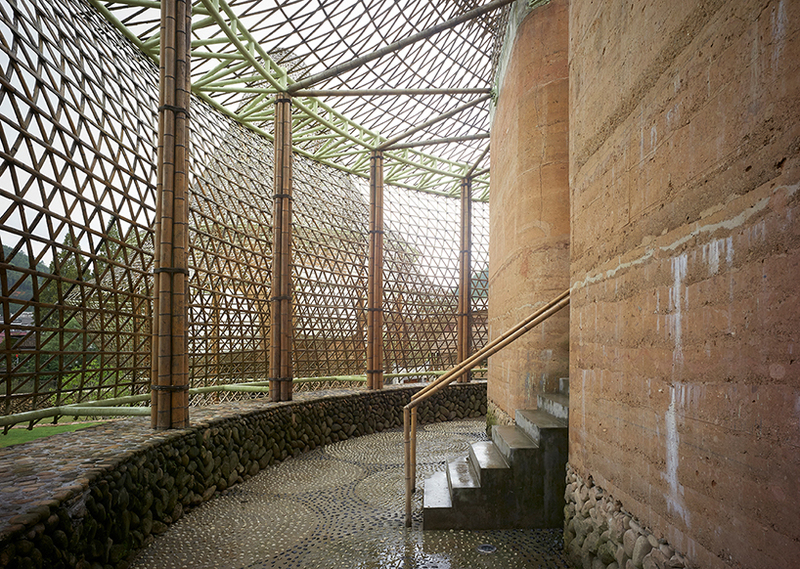 unlike most biennales, each of the pavilions and structures built for the bamboo architecture biennale hosts and serves a specific purpose and function — from the kengo kuma-designed ceramics museum, to the youth hostel designed by anna heringer. 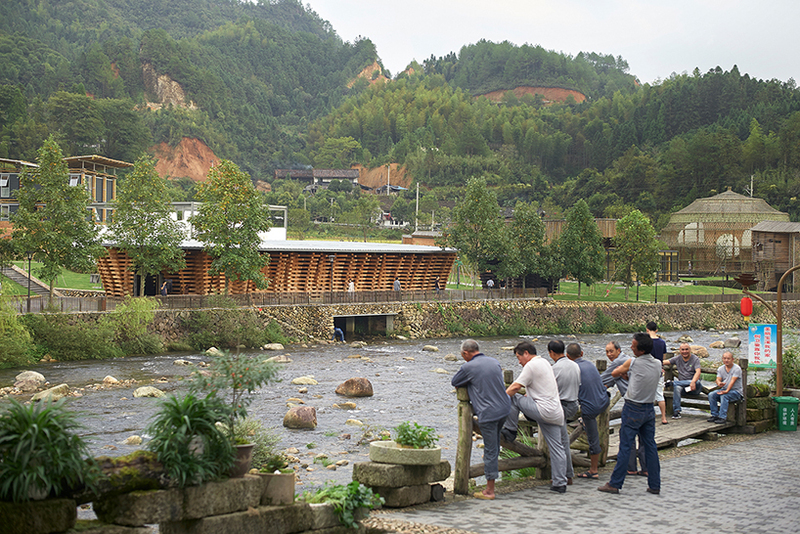 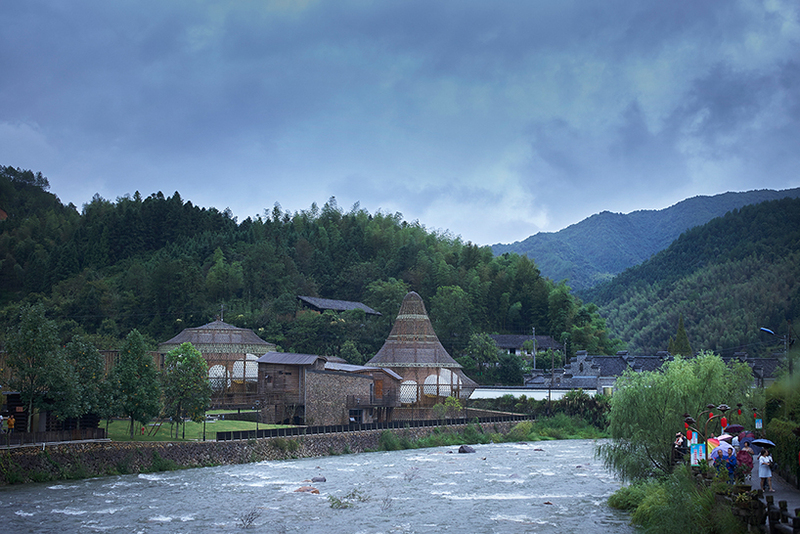 there is also a bamboo bridge, an art and design hotel, a restaurant, and a ceramic workshop.